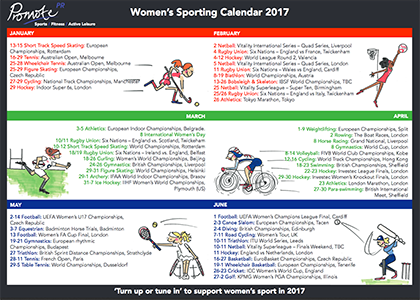 Promote PR are passionate about raising the profile of women’s sport which is why they created this fantastic annual calendar with a wide range of top quality women’s sports events to look out for 2017. 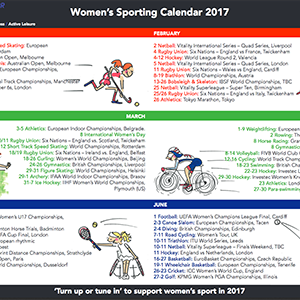 You can download the calendar here and please feel free to share. If you’d like a printed copy for your wall, just let us know Promote PR know and they’ll pop one in the post (subject to availability). 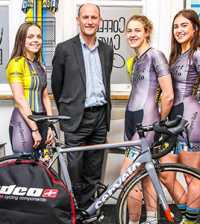 Here’s hoping thousands more people will ‘turn up or tune in’ to watch women’s sport in 2017.